We also manufacture rubber seals for column pipes from 1" to 4" and supply to some leading pipe manfucturers. 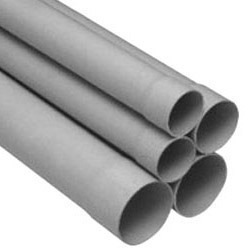 These pipes are manufactured as per BIS 12818-1992 and supplied in 2, 3 & 4 meters length with one end having male threads & the other end having female threads. Threads are V or trapezoids type and protection caps are provided on the threads to protect the threads in transit. Two types of pipes i.e. Shallow Well (C.S.) and Medium Well (C.M.) are available. 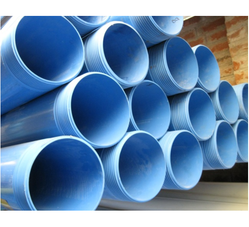 PVC casing Pipes are normally available in Blue colour and are used for tube well or bore well , domestic wells and irrigation wells. Available Color: Blue, Grey, White etc. We are offering PVC Casing Pipe to our client.